2 July 2014. A new process for developing drugs for tuberculosis designed at ETH Zurich, the Swiss Federal Institute of Technology, is offered for licensing by the university to companies for commercialization. The technology that aims to overcome resistance to many current tuberculosis drugs is the result of research from the lab of Zurich pharmaceutical biology professor Karl-Heinz Altmann. While the number of cases of tuberculosis is falling worldwide, World Health Organization reports in 2012, some 8.6 million new cases of TB with 1.3 million deaths. Many of the cases occur in people with HIV, with 320,000 deaths in 2012 reported among people who are HIV-positive. While TB occurs more often in men than women, the number of TB deaths among women with HIV were about the same as men in 2012. 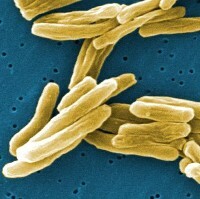 A key problem in eradicating tuberculosis is the ability of the TB pathogen Mycobacterium tuberculosis to become resistant to many antibiotics given to patients. This resistance often arises from the lengthy course of treatment, about 6 months, patients are required to follow. For many patients, symptoms disappear after a few weeks, which tempts them to discontinue taking their medications. As a result, the TB pathogen remains in the body and builds a resistance to the drugs. The growing resistance to antibiotics contributes to a reluctance among many pharmaceutical companies to develop new drugs. Altmann’s team takes a different approach to TB, but one that is based on an older drug, pyridomycin, first discovered in the 1950s. While the drug was derived from natural, non-pathogenic soil bacteria, it lacked the stability to effectively fight the disease, and was abandoned as a TB therapy. The Zurich researchers, with colleagues from EPFL in Lausanne, Switzerland, discovered the crystalline structure of pyridomycin gave it an ability to block a key enzyme in the TB bacteria, called InhA, from working in two different ways, weakening the bacteria and making it easier to destroy. This double action reduces the risk of the bacteria becoming resistant, since it would need to adapt to both types of attack simultaneously. The technology developed by Altmann and colleagues developed a synthetic scaffold resembling the crystal structure of pyridomycin, which their research shows maintains the ability to bind to the InhA target and weaken the TB bacteria. The researchers say this framework can be enhanced with other compounds for treating TB. ETH Zurich’s technology transfer office says the university applied for a patent on the synthetic scaffold technology, which is available for development into TB treatments.